Whether you need our incredible services for your next book club or a ladies’ get together, we provide amazing tea and brunch food options for your next event. 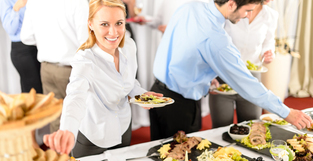 Let Niagara Catering Service be your one-stop full catering service provider. 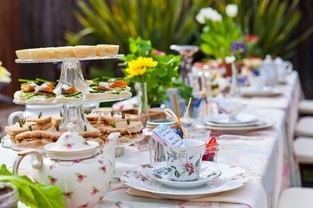 With our services, we can capture the essence of a truly enjoyable tea and brunch party. We have perfect appetizers and finger foods, and a vast variety of teas, brews, and more beverage options. We create beautiful spreads to evoke sophistication and class at your next brunch or tea party. Our staff will provide a delectable brunch or tea party display for your gathering. We can personalize your event by making it memorable through great selections of food that your guests are sure to enjoy. They will be taking in great food and beverage spreads prepared by our top chef that are then brought to your table. We provide brunches and tea parties for a variety of occasions, social gatherings or business events. We offer scrumptious victuals to serve your guests, and we can prepare anything from fine to casual dining, depending on your event. Let our staff create a beautiful food presentation to wow your guests. Our chefs only use the finest ingredients and can cater to any type of mood or atmosphere. We also cater to any themes you might wish to express at your event. We compose beautiful table settings with our silver, china, and linen options. As always, we value our customers and strive to create a classic and enjoyable function for you and your guests to enjoy. With amazing centerpieces, flowers, balloons and more, you’ll be blown away with the magic we create. If a more casual feel is more your style, we can offer menu suggestions and options to fit your budget. We offer affordable pricing to serve all types of events in the Niagara on the Lake and surrounding areas. Our staff is ready to assist you with any questions you might have. Call us today to help you plan the perfect ladies’ brunch or tea party! We consider our brunch and tea party items to be different compared to other catering services. We offer a menu that is based upon your preferences, and is crafted especially for you. We offer gluten-free, dairy-free, vegan and vegetarian food items for your guests with special dish preferences. We also offer a variety of presentation styles, including formal serving to buffet style with food stations filled with courses, sides, and mix-ins for guests to enjoy. 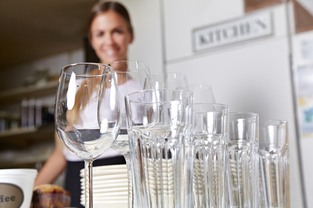 Our services are affordably priced, and our servers are able to be as involved as you would like them to be. We take care of all your catering needs. Whether you need our incredible services for your next book club or a ladies’ get together, we provide amazing tea and brunch food options for your next event. Let Niagara Fundraiser and Gala Catering Service be your one-stop full catering service provider. Fill in the form on this page or call us today at 289-273-2266. Our services are the best in the Niagara Region and we look forward to serving you!